It came! 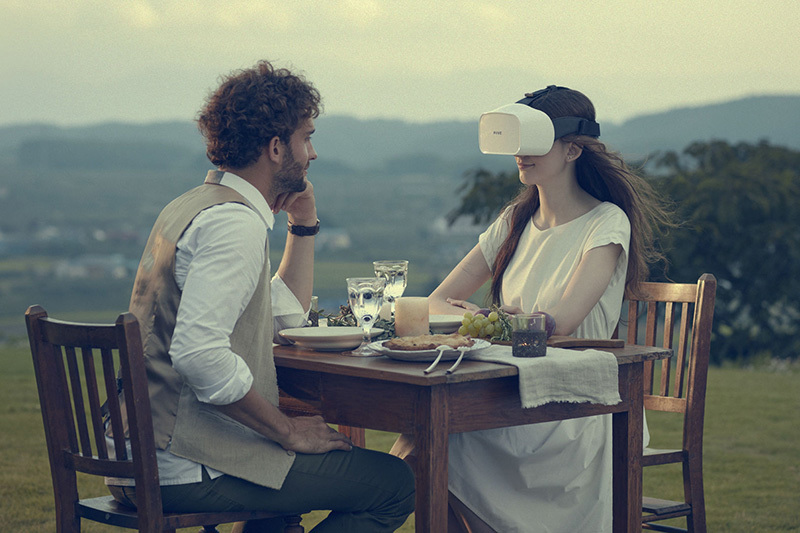 This VR headset was on kickstarter back in 2015 and has received some serious investor cash since. 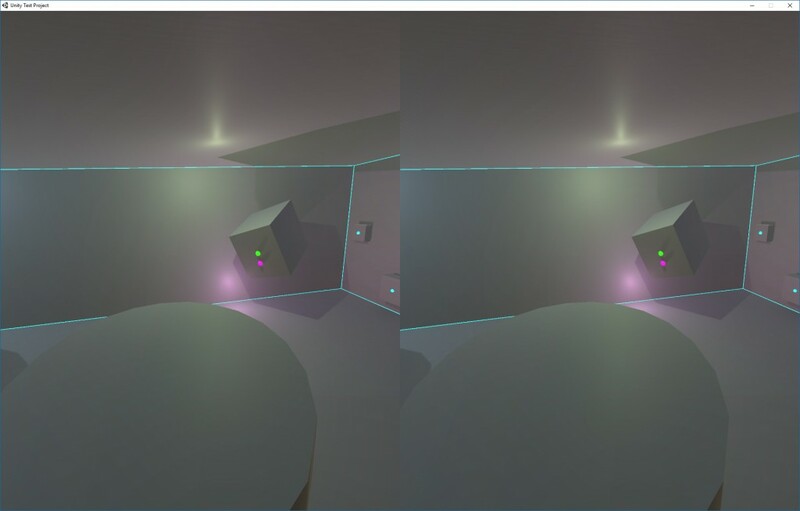 I’ve been working on prototype games with the Vive (in UE4) but really wanted this primarily to play with its unique feature: real eye tracking. It has cameras that watch your eyes and figure out where you’re looking – and applications can act on this information. No, this isn’t from Resident Evil 7… it’s how it watches you watch. Yes, it’s creepy. Currently there is only one demo on the Fove website to try out – I expect more will be added soon – hopefully they will show off foveating rendering and depth of field based on gaze. I want to see if it’s all quick enough to “feel right” or not. I guess we could always write our own tests as well… maybe later. This is the sample app. That little green and red ball? That’s where your left and right eyes are currently looking. 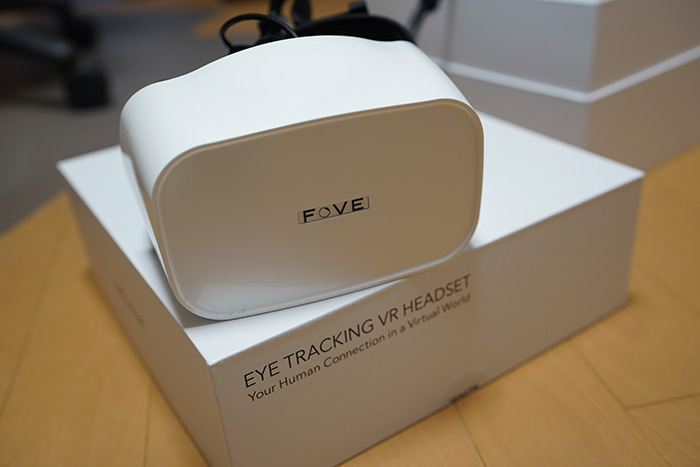 It’s functional and is very useful to experiment with eye tracking VR technology early. 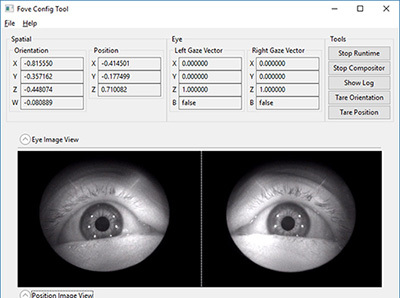 Eye tracking will probably be a standard feature in all the VR headsets soon enough. If you just want to play some games, get a Vive. This entry was posted in Development/RTsoft, Tech Tips on February 7, 2017 by Seth.